This third pillar of learning in factories completes this sequence of our three part blog in which cultural changes are required to follow your quest to becoming a learning organization. We’ve seen that the Critical Equipment Strategy and the New Employee Onboarding Process offer new approaches to training and collaboration on your floor. This last, but not least, pillar will show you how you can buckle up on your learning culture strategies with a tool like Poka. This activity's main purpose is to identify what expertise needs to be documented to retain his best practices once the employee retires. They will take each workstation, equipment and product related to that employee’s knowledge set and do an inventory of everything the employee knows. They will also review all news related to the equipment and ensure they do not forgot something which should be documented. Factories typically run most of the time, so having access to a machine that is not running to film a video can be tricky. To be realistic the content creation activities must be planned over a certain period of time. Involving a production planner can be a very good idea so that they can assist in coordinating the best times to create content. Content needs to be reviewed and tested on the staff who will replace the retiring employee. Changes can be made based on their feedback and questions. That way, we make sure the information is valuable and that we don’t lose any important knowledge when the employee retires. Saving knowledge also means saving time; and saving time increases productivity on the floor. 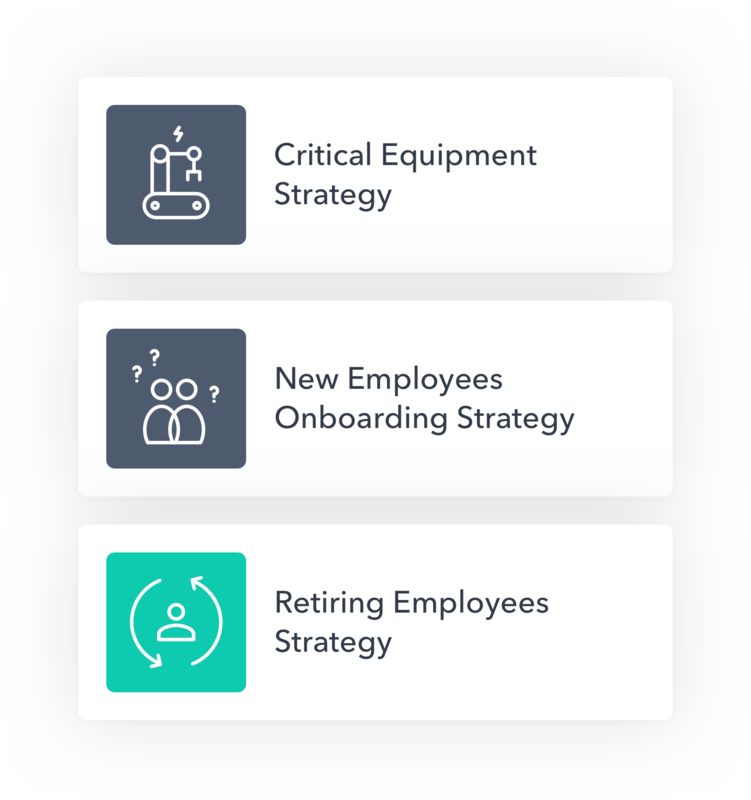 So we suggest you document your staff’s best practices with the help of Poka, and build a solid learning culture using the three pillars mentioned throughout this series. Don’t let critical equipment, retirement or onboarding scare you.